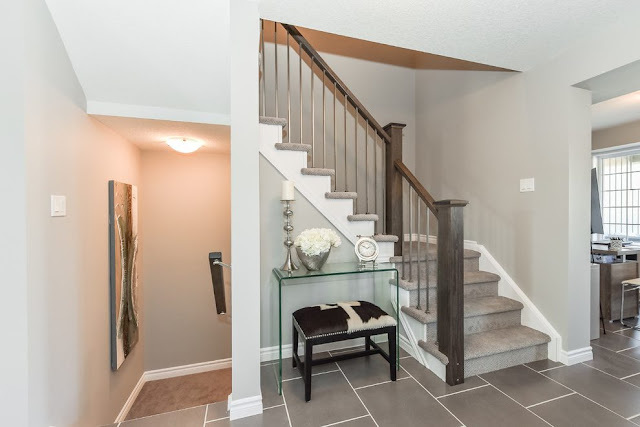 How to make custom stairs for home? Technically speaking, building a stairs is not difficult. Anyone who possesses fundamental carpentry skills can assemble the parts and make the mandatory cuts. Regardless of it being easy, many homeowners find it one of the most challenging tasks to do. It is difficult to determine the right shape and right type of the stairs. In terms of design, there is no limit when building a new house. If there is already a second story to the house, the builder is forced to work within the limit. In some cases, there would be only one place where the stairs could be placed. The place available is important in determining what the shape of custom stairs would be, either spiral, straight or circular. Generally, wider the flight is, better and subtle the climb is going to be. However, it consumes a lot of floor space as well. The easiest design to build is a straight staircase which stretches from lower to upper level in a straight and single run. However, it is difficult to adjust this type in a floor plan. The run is divided in a return design when reaching the landing. Moreover, a circular design sweeps in a broad curve making it aesthetically appealing. Spiral designs twist around central poles. Choosing the right design plays a critically important role in making of the stairs. It doesn’t only determine how the aesthetics are going to be but also shed more light on the functionality. It will determine how the stairs will be used by different individuals. Planning out the right staircase design is important since it can have an impact on the overall house. The initial step to towards implementation is calculation of the gradient. Once you have calculated the rise and run, begin with the actual installation process. Create a frame, cut the stringers and install the treads and risers. Make sure you have all the essential tools such as a drill machine, screw drivers, hammers and saw in order to successfully pull out the DIY project. Not having access to tools will either leave the project incomplete or will have a detrimental impact on the quality of stairs built. Building custom stairs seems an easy task but can be a problem for homeowners at times. It can be challenging and difficult sometimes. This is why many people consult professionals to get the job done. Nevertheless, experimenting yourself is not a bad thing to do. Do some online research, look out for different models, shapes and designs and then begin with the work with all the tools ready. StellaRoof - All Rights Reserved 2018. Awesome Inc. theme. Powered by Blogger.